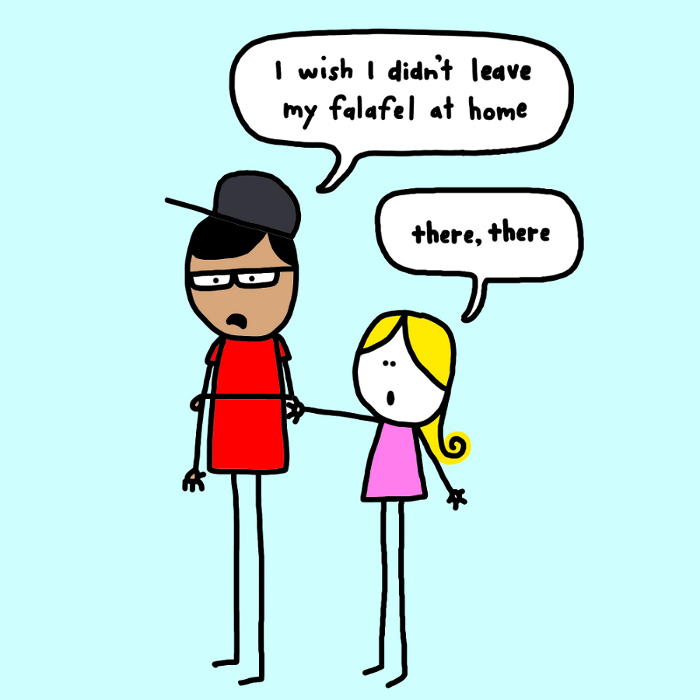 when you forget your falafel* it’s the worst – cocoa likes this! having something cool to bring for lunch is the best feeling in the world! realizing you left that cool food at home is one of the worst! it rates right up there with: stepping in something wet when wearing socks. Next postooh baby baby, baby baby!